The rotary vacuum drum filter was patented in 1872 and, since then, has been used extensively in the processing of chemicals, pharmaceuticals, cosmetics, and minerals. Compositech's rotary drum filter design provides reliable liquid/solid separation with minimum operator attention and maintenance requirements even in heavy duty, 24-hour continuous operation. Our rotary drum filter's ability to accommodate maximum hydraulic flows and a wide range of cycle times allows optimum cake formation in many different types of slurry. In clarifying applications of rotary drum filters, very high filtrate clarity can be achieved with precoat discharge designs. For corrosive applications, Compositech offers thermoplastic rotary vacuum drum filters to provide dependable vacuum filtration at a substantially lower cost than machinery constructed of exotic metals. All components which contact corrosive agents are made of engineered plastics. The rotary drum filter is available totally enclosed for caustic chemical and mineral applications. 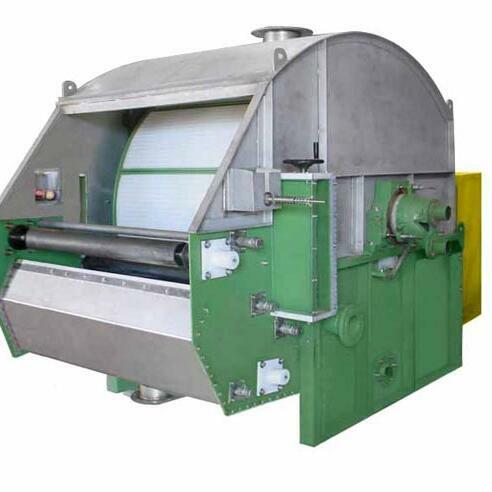 We provide different feed mechanisms and cake wash distributor designs depending on the operating conditions for each customer. 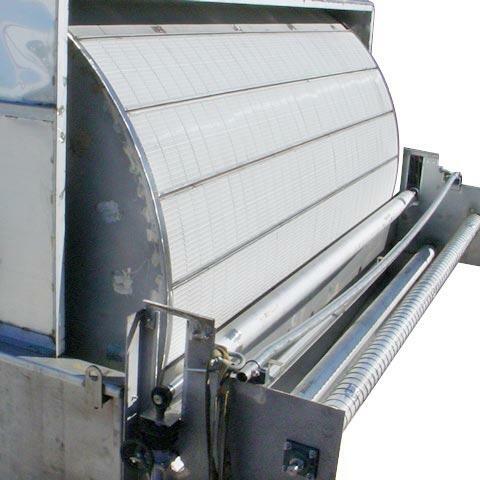 Our rotary vacuum drum filter is typically constructed of stainless steel mesh with Compositech Hi-Flow drainage grids. All materials in direct contact with the slurry, filtrate or cake are 304L stainless steel or PTFE. Contact us today to request a quote for a rotary drum filter!